This hand-crafted Dry Grapefruit–Mango Vodka is the first of its kind and the fourth masterful creation of distiller Lee Foster Fuqua. Made from premium 100% pure sugar cane and distilled seven times, it is kissed with a hint of pure grapefruit and mango for a refreshing zing. As with our original Premium Sipping Vodka, you should resist the urge to mask it with flavors. 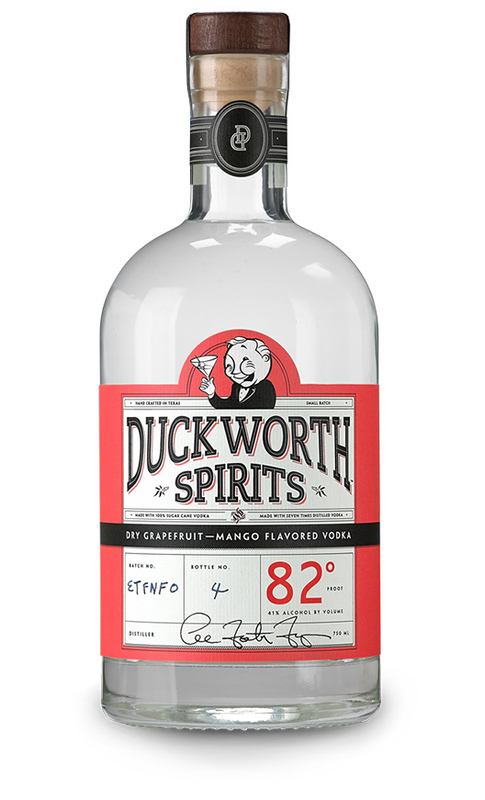 Duckworth is a vodka-lover’s dream—smooth as silk, straight up or on the rocks. Enjoy!